"South Park" and "Broad City" return Wednesday with ambitious plans to avoid the unavoidable president, by bleeps and by ignoring him. "South Park" is trying to steer clear of President Trump this season. Hillary Clinton's pre-election cameo last year on "Broad City" featured a bleep-worthy profanity (not uttered, of course, by the candidate). Meanwhile, Mr. Garrison's stint as a foul-mouthed Donald Trump stand-in on the network's long-running "South Park" unexpectedly stretched well beyond Nov. 8. The two bawdy comedies return Wednesday for new seasons with promises to show rare restraint, at least when it comes to the Trump presidency. "Broad City" co-star Ilana Glazer recently told USA Today the name "Trump" would be bleeped this season, while "South Park" co-creator Trey Parker suggested to the Los Angeles Times we'll be seeing a lot less of unhinged teacher-turned-president Garrison. The vows underscored a growing challenge amid a Trump-saturated TV comedy landscape: How can you avoid the unavoidable presidency? Trump dominates Comedy Central's "Daily Show," which airs after "South Park" and "Broad City." The 45th president also fuels the TV comedy of Stephen Colbert, Seth Meyers, Samantha Bee and John Oliver, among others. A political humor charge, led by Alec Baldwin's withering Trump impression, reinvigorated "Saturday Night Live," yielding a show-record 22 Emmy nominations. For "Broad City," the increasingly clever and irreverent misadventures of Glazer and co-creator Abbi Jacobson's stoner alter egos, the Clinton appearance marked a rare into news-driven humor. 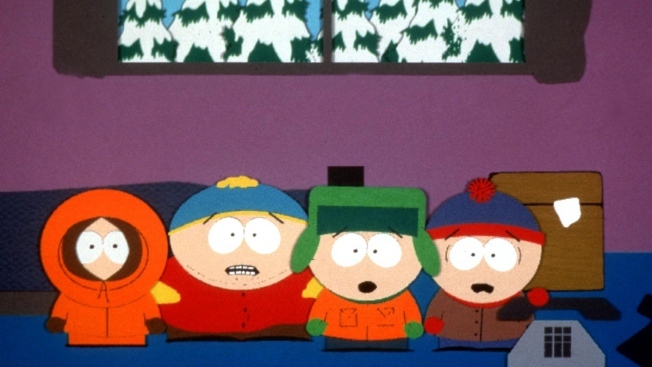 "South Park" has turned more topical in recent years, with Parker and show co-creator Matt Stone tackling a punishing production schedule for the animated program, which starts its 21st season Wednesday. Parker indicated the freedom of quick-turnaround comedy morphed into creative handcuffs for him and co-creator Matt Stone. The show's focus, Parker told the LA Times, turned to "tune in to see what we're going to say about Trump. Matt and I hated it, but we got stuck in it somehow." Still, Parker and Stone may find themselves driven by Glazer and Jacobson's favorite acronym: FOMO – fear of missing out. Wednesday's "South Park" premiere takes on the very timely scourge of Tiki-torch-waving white supremacists. Even the urge to declare Trump-free comedy zones highlights the pop cultural omnipresence of an unlikely and divisive president who rose to power as, essentially, a character on a Reality TV show. "The biggest TV star of the year is Donald Trump," Colbert told Variety as he prepares to host the Emmys Sunday. The "Late Show" star, whose ratings have risen since the election, clearly is no fan of the president. But he recognizes the curse facing Trump-weary comedians: The President is everywhere, no matter how often you hit the bleep button.